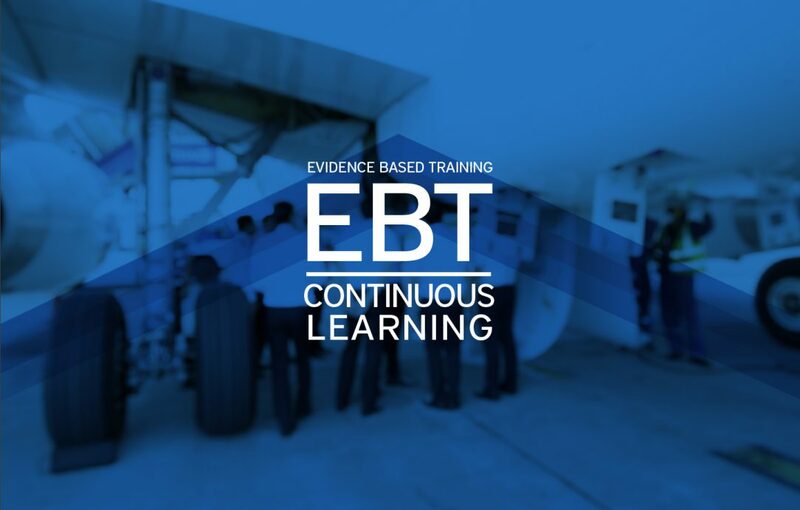 The first part of our series on evidence based training, a new paradigm in airline pilot training, covered the concept and principles of EBT. In this article, part 2, we cover important information about how pilots should prepare for their simulator event and what is expected of them during EBT. EBT recurrent training consists of two simulator sessions which are comprised of 4 modules. This is a brief LOFT which starts with the cockpit preparation or in cruise. It contains several smaller failures that the crew needs to deal with. Everything happens in real time. This evaluation provides a quick glance at the performance of the pilots during routine line operations. This underlies the “first look” principle which means there is no advance briefing. A complete briefing package is provided for the LOFT. During this phase the normal check elements of an OPL/LPC are dealt with. The purpose of the maneuvers validation is the evaluation of psychometric skills and the application of standard operating procedures. During this phase simulator resets are permissible. This phase comprises the biggest part of the EBT program since it focuses on the development of core competencies in order to cope with unexpected events by improving the pilot´s resilience. In several LOFT scenarios, threat and error management is employed and the crew is confronted with complex failures. Instructor support is available when needed. During this phase, the instructor pilots occupy a pilot seat to either demonstrate a certain maneuver or to introduce failures or to intentionally initiate a deviation from the desired flight path. This is designed to sharpen the skills of the pilot monitoring(PM) and to learn to intervene when and where necessary. Day 1 of a typical recurrent training consists of the evaluation phase and maneuvers validation phase. The evaluation phase should be comprised of a typical line flight scenario which can be constructed from FODA data to measure strengths and weaknesses in view of the airline´s safety standard. The next phase is the maneuvers validation. In this phase, maneuvers are flown to determine the psychometric skills and the proficiency in flightpath control of the individual pilot. During maneuver, validation pilots can repeat maneuvers to gain proficiency. Day 1 (EVAL and MV) presents the opportunity to conduct all the required items of an OPC/LPC. Scenario-based training comprises the biggest part of EBT. Day 2 can be made up of two parts: scenario-based training and in-seat instruction. Scenario-based training does not contain briefed scenarios. In this phase, the development of competencies and the use of threat and error management are trained in order to mitigate the largest risks. Pass or fail is not a criterion, rather the validation of the knowledge base is important. This phase can contain dealing with complex abnormals and emergencies. In-seat instruction describes the last part of the second day of training. During this phase, the trainee acts as pilot monitoring (PM) and the instructor occupies the other seat as pilot flying (PF). Deviation from SOP´s and/or the desired flight path may occur. The trainee is presented with the opportunity to practice his role as pilot monitoring and to return the aircraft to a desired, safe state. This shall be done timely and appropriately. How do crews prepare for EBT? Preparation for EBT is different from previous training- and checking events because the trainees do not know which scenarios to expect. However, this is the greatest value of EBT because trainees receive realistic feedback about their strengths and weaknesses. The instructor´s role is to set up the simulator and to support the crew in helping them to learn. What can you expect from EBT? Fundamentally, EBT offers the chance to learn more about one`s individual performance. Crews will be challenged during their recurrent training, but the main theme of EBT is building confidence in the crew´s ability to deal with expected and more importantly unexpected events. The EBT philosophy addresses training shortfalls during the evaluation phase on day 1 and rectifies and eliminates these with scenario-based training during day 2. Briefings will no longer be a question and answer sessions. Instead, flight crews will be provided with a briefing package that includes detailed information about the maneuvers validation. The briefing material will ensure that crews arrive relaxed for their simulator session. And the instructor is there to help the crew. Day 1 will still be a check or contain formal check elements, but the crew will feel a lot more comfortable. Evidence based training builds resilience and enables pilots to deal with unexpected events in a competent and calm manner by providing training of core competencies rather than repetitive training to pass a proficiency check. EBT enhances the effectiveness of training and creates an environment for continuous learning.